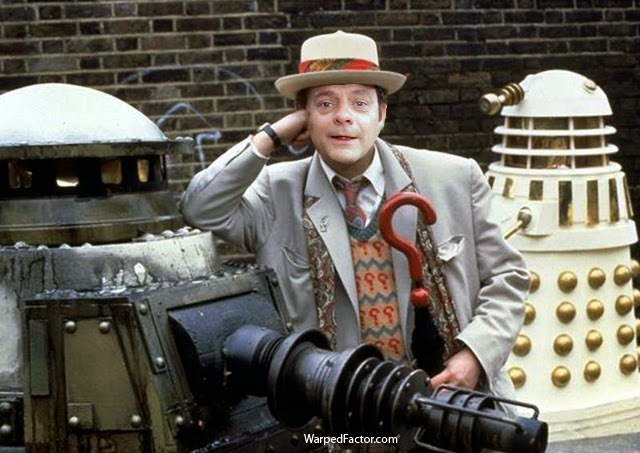 DOCTOR WHO: What if DAVID JASON Was The Doctor | Warped Factor - Words in the Key of Geek. He’s terrific. He’s magnifique. Wherever there is danger he’ll be there, says Tony Fyler. Y’know, research for WarpedFactor articles is a very strange business. Here I am, brain the size of a planet, 43 years on an increasingly rapid-running clock, and how did I spend last night? Watching as many episodes of Dangermouse as I possibly could. This surely can’t be the right way for 43 year-olds to behave. But as I watched the entire first season of adventures with everyone’s favourite super-agent (Bond, you say? Never heard of the fellow), something very peculiar struck me. And I don’t just mean that Penfold’s first name is Ernest. Or that he was originally Welsh, though believe me that was shocking enough. In the pilot episode, which was re-edited as the second episode actually transmitted, DM and Penfold go up to Scotland, where they stay in a creepy guest house run by an ultra-Scottish innkeeper, and where half the building is then attacked by a remote control, robot Loch Ness Monster, controlled by Baron Greenback, who – and this has never struck me till this time round - sounds almost exactly like a Zygon. What’s more in the third episode, DM and Penfold go to Transylvania, where not only do they encounter a Robot Frankenstein’s monster (the Chase, anyone? ), but robot mummies, which they unravel, leaving the metal framework visible underneath (Pyramids of Mars). But then in the very next episode, not only did you have an extremely clever scientist messing about with chickens to save the world from a hunger crisis (can we say Theodore Nikolai Kerensky from City of Death? ), but in the same episode, Penfold is hit with a gigundo-ray, and ends up stepping over building, a la bloomin’ Robot. 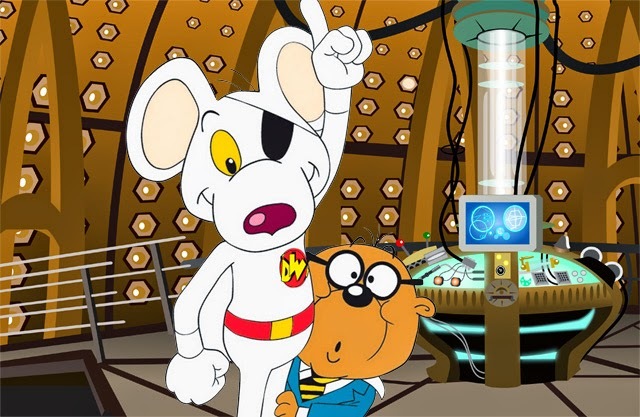 That’s when it hit me – in some flatter, two-dimensional universe where presumably the Boneless are a real pest, Dangermouse is the Doctor! And that’s when I had an idea whose time surely should have come long before now. What if David Jason, household name in the UK and voice of Dangermouse as well as sooooooo very much else, had ever been offered the keys to the Tardis. What would that have been like? The joy with fantasy Doctors, might-have-been Doctors, and what-if Doctors is you can pick any point at which they could be inserted into the canon. I imagined the cover of Doctor Who Magazine announcing ‘David Jason IS The Doctor’ in the wake of Colin Baker’s unfortunate exit. It’s September 1987. Doctor Who has been in choppy waters for a couple of years, it has no love left at the BBC. Only instead of that strange little Scottish bloke from children’s programmes like Jigsaw, one of the BBC’s hottest comedy actors steps into the lead role, dropping out of – or working around – Only Fools and Horses, the nation’s favourite situation comedy. 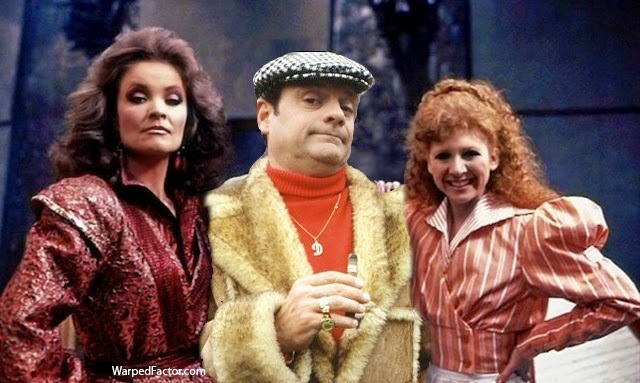 There’d be an immediate ‘Davison Effect’ as people who like him in Only Fools tune in to see how he approaches the Doctor. People remember the love they used to have for Doctor Who, how it scared them behind their sofas, and made them laugh in the Troughton, Pertwee or Baker days. Imagine all else – the Cartmel Master Plan to deliver a darker, more mysterious, more dramatically meaty Doctor in particular – remains the same. Jason’s a huge name in the UK, though relatively unknown beyond its shores. He’s got incredible comedy form, having cemented himself into the public consciousness not only with Only Fools and Horses, but with his role as Granville in the gentle northern comedy Open All Hours alongside comedy ‘guv’nor’ Ronnie Barker (which he filmed alongside his Only Fools commitment until Open All Hours ended its run in 1985). He’s also notably starred in comedy classics like Porridge, also alongside Barker, and was the original choice to play Corporal Jones in Dad’s Army decades earlier, the role that would eventually be given to Clive Dunn. Jason also has his hand in with the new, more hip and crazy comedy set, as well as touching worlds with Doctor Who, having made the role of the Captain of the Golgafrincham B Ark his own in the radio version of The Hitch-Hiker’s Guide To The Galaxy, written by former Who Script Editor Douglas Adams. What’s at least as important is that he brings an army of children with him to the show, because, as I may have mentioned earlier, he is the voice of Dangermouse on ITV. It’s a matter of conjecture whether he would still have gone on to voice Count Duckula in 1988, but we know from Jason’s later work in ‘real life’ that he can deliver serious dramatic performances – we’ve seen him do hard-bitten in A Touch of Frost over sixteen years, we’ve seen him warm hearts as Pop Larkin in The Darling Buds of May and make them ache in A Bit of A Do. Essentially, there’s little to which David Jason cannot turn his hand, and face, and voice, and most of the time, he elevates the work to a whole new level. And he’s by no means afraid of committing to long runs in successful shows. 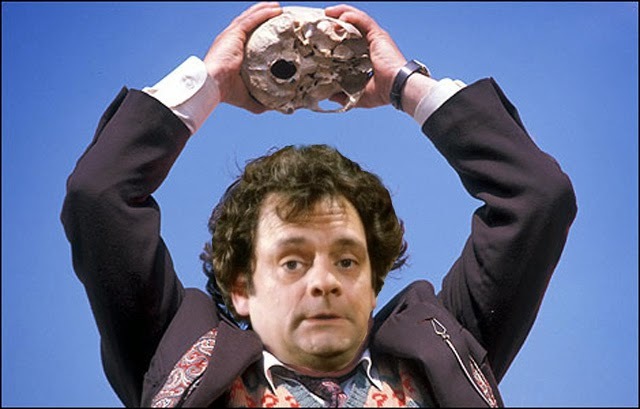 Ahem – not to overegg the pudding, but it turns out David Jason is exactly the same height as Sylvester McCoy, at 5 feet 6 inches, so the essential image of the Seventh Doctor would have been very similar were it Jason in the symphony in beige and the question-mark jumper, rather than McCoy. But imagine a Seventh Doctor played by David Jason. Imagine him not only in the scenes where Sylvester shines – The Happiness Patrol, Remembrance of the Daleks, Fenric, Survival, but imagine him perhaps playing a slightly more streetwise take on the Seventh Doctor in stories like Paradise Towers, like Time and the Rani, like Delta and the Bannermen. Under no circumstances am I here to rrrrrrrrrrrrubbish Sylvester McCoy’s performance – absolutely not. But imagine the Seventh Doctor played with Jason’s assurance, his gift for tonality, his broad vocal range, and most importantly, imagine a Seventh Doctor that lit a fire in the hearts of BBC executives. A Seventh Doctor who brought mainstream audiences back in front of TV screens for Who, and pulled loyal children’s TV audiences with him too. Imagine the scope of the programme if that had only been the case. Renewed interest within the BBC would have meant potential successors to John Nathan-Turner as Producer, and made it something completely other than the dead end job in a programme past its prime, which was how it was viewed within the organization at the time in our world. 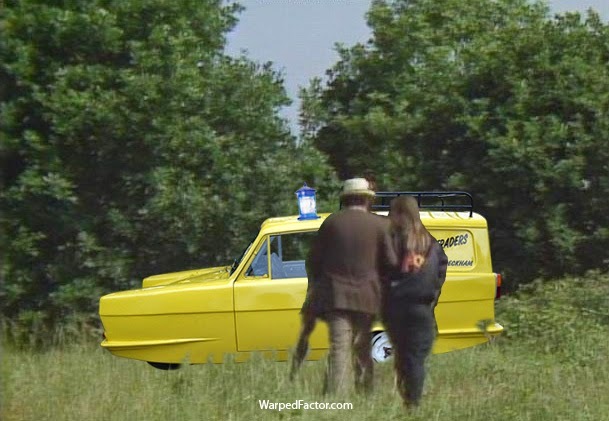 Of course, this is all a dreamy counterfactual, but within that scenario made up entirely in my head, I can’t help wondering whether Survival would have seen the BBC finally pull the plug on Doctor Who after all. 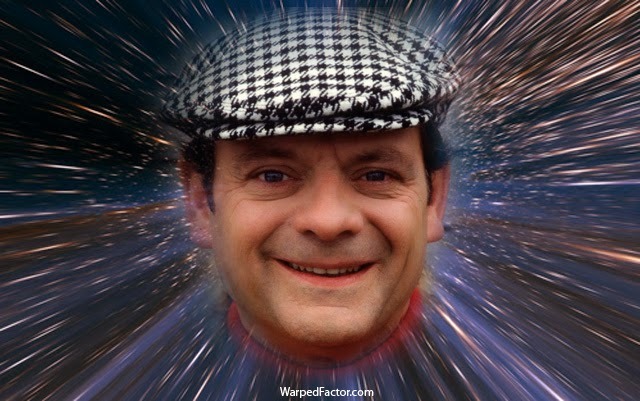 Perhaps, just perhaps, David Jason was the Seventh Doctor who could have saved the programme from the wilderness years.